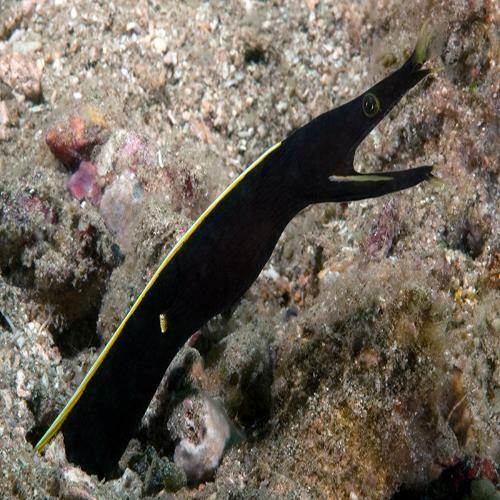 Ribbon eels are one of the amazing underwater animals only divers get to see. 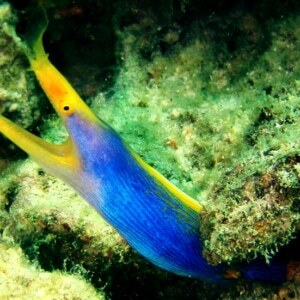 Commonly known as the ribbon eel, or blue ribbon eel, these colorful animals are actually a species of moray eel. 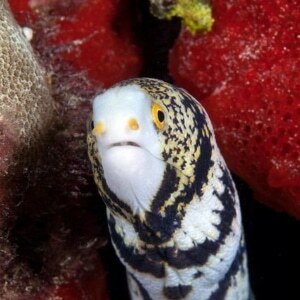 Eels can be a challenge to keep due to their ability to escape aquariums. Keep a tight fitting lid or light diffuser panel on the tank. 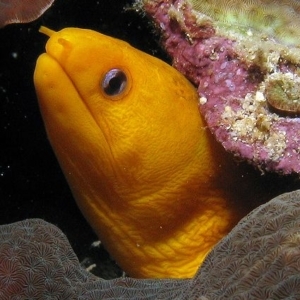 These Eels will only eat when they are comfortable with their surroundings and have a cave large enough for their long bodies to completely fit into. 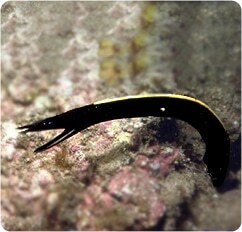 They can be prone to bothering small sessile inverts and small fish so are considered reef safe with caution. They will feed on a carnivorous diet that can consist of small feeder Fish, such as Mollies, and live inverts, such as Shrimp, Krill, Crabs along with a diet of various meaty preparations enriched with vitamins. 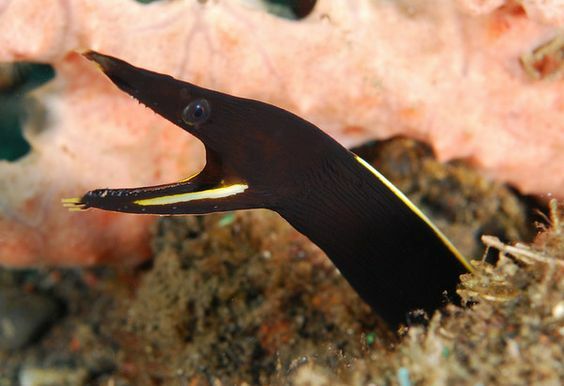 The Ribbon eel (Rhinomuraena quaesita), also known as the leaf-nosed moray eel or bernis eel. 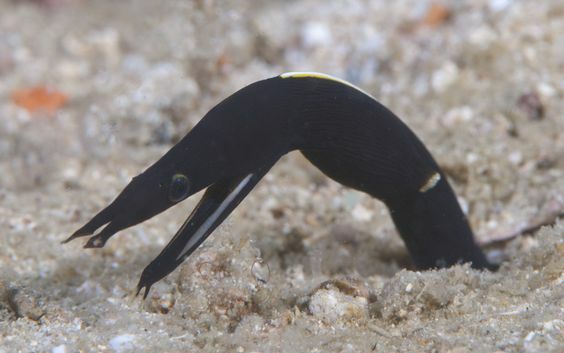 These Eels are quite unique, they are black and yellow and resemble a ribbon, hence the name. 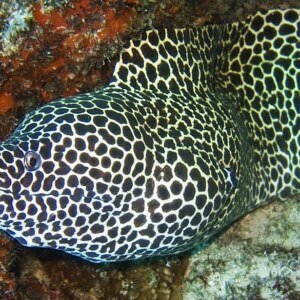 They can reach a maximum length of 40″, which is not very large in Eel terms.